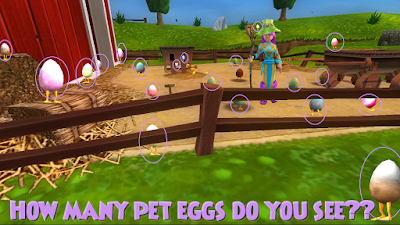 Castle Of Crafts: Come Join Us For An Egg Hunt! OH! It has just been nuts trying to get Windbreaker to commit to a schedule. I swear it would be easier to pull teeth from a chicken sometimes. But I DID finally manage it! I'm SO excited and can't wait! We'll be in the Troll Realm on Saturday April 15th, 2017, you SO hafta join us! For a quick reminder of what level wizards can hope to get a Stormrider Hare from these bosses, please see my previous post What Shall We Do? EGG HUNT!! Speaking of the Stormrider Hare, this year's raffle can be found at Wizard 101 Central. This year however, it is limited as to how many mounts they are giving away. If you already have one, you might want to consider not entering this year, so that new wizards have a better chance of winning one. Just a thought. 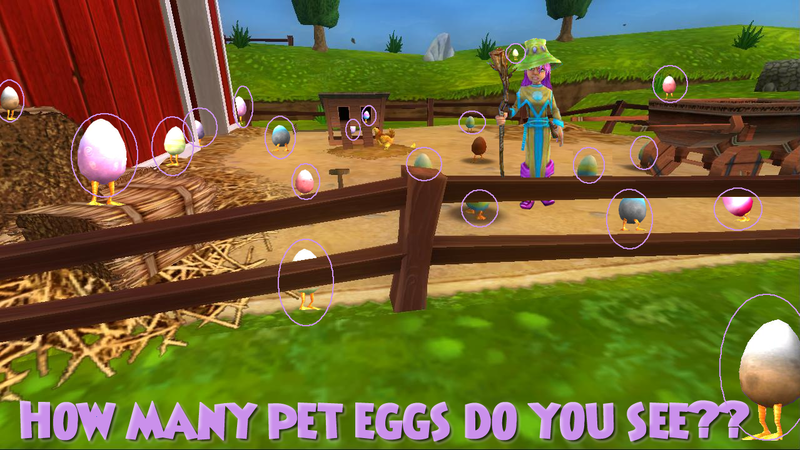 By the way, how many Pet Eggs did you find? Did you count the Baba Yaga's Egg that was running around the pen?